Prime Minister Ranil Wickremesinghe said Sri Lanka is seeking foreign investment from India, Japan and others amid criticism over his country’s reliance on Chinese loans for infrastructure projects. In an interview in Colombo, Wickremesinghe defended a deal last year that gave a joint venture led by state-owned China Merchants Port Holdings Co Ltd. a 99-year lease to the southern port of Hambantota. The agreement gave Sri Lanka $1.1 billion in revenue at a time when it’s spending 80 percent of government revenues on servicing outstanding debts. The country has $1.5 billion in dollar bonds due in 2019 and another $1 billion in 2020, according to the data. Sri Lanka last paid a $500 million dollar bond in 2015. Sri Lanka was an early participant in China’s infrastructure-building plans that eventually became the Belt and Road Initiative backed by hundreds of billions of dollars in financing. Still, its appetite for Chinese cash waned after the debt burden forced it to sell the Hambantota port back to China Merchants Port Holdings. 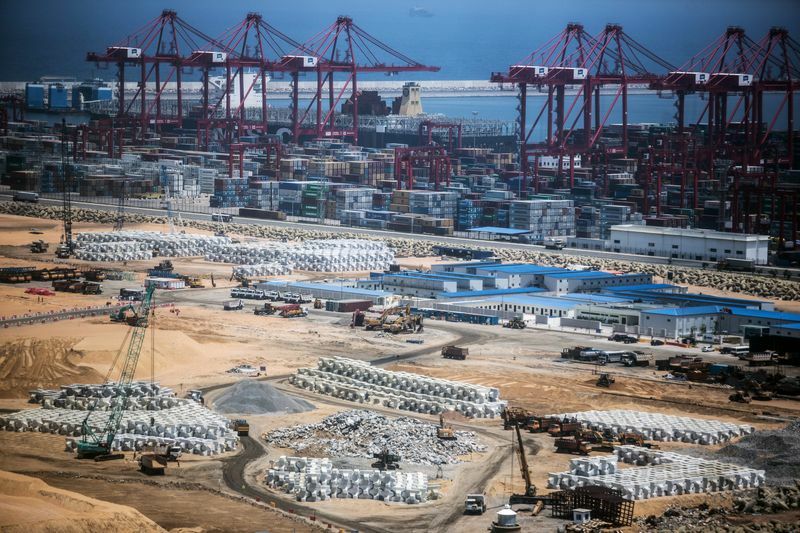 The deal also prompted concern in India about its geopolitical rival China using a port close to its southern coastline for future military or strategic uses. Public anger over Chinese debt helped Wickremesinghe rise to power three years ago with President Maithripala Sirisena in a coalition government that pledged to reevaluate China-funded projects they alleged were corrupt. But faced with few good options, the government has since negotiated concessions — including turning a Chinese freehold land reclamation project in Colombo into a long lease — while largely pushing ahead with the projects. The administration’s sale of the Hambantota port in a debt-for-equity swap to China has been criticized by former President Mahinda Rajapaksa, who had originally courted Chinese investment for his home district of Hambantota before losing power in 2015. A new political party backed by Rajapaksa triumphed over the ruling coalition parties in local elections in February. Wickremesinghe said Monday that Sri Lanka needs to “focus on what is achievable and doable” by courting Asian investors first. “Just as much as there is the Belt and Road Initiative, the Japanese are also taking a big initiative and the Indians,” he said. Japan is interested in investing in the Colombo port, as well as the undeveloped east coast port of Trincomalee, a colonial-era British naval base, Wickremesinghe said. Indian investors have also expressed interest in a Chinese-built airport in Hambantota that’s barely used and has been criticized as a politically motivated Rajapaksa-era project.